Airline travel is convenient, fast, and remarkably efficient at finding ways to add fees to the unsuspecting traveler. If you are one of the millions that choose to travel by air this season, it is in your best interest to read the fine print no matter which airline you plan on using. Though many have fewer costs than others, if you are an uninformed traveler you may be very unhappily surprised at the cost of carrying a couple extra pair of socks on your next vacation. 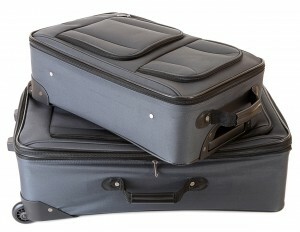 Take a look at the cost of baggage and how you can be an informed traveler with Tradewinds Travel Club. According to one source, baggage fees are up almost 300% from just 2 years ago. To combat the waning traveler numbers, airlines have supplemented these losses by upping the price of extra baggage. As such, fewer travelers are paying more money to travel. Despite these increases, there is an easy way to combat the extra fees. Making sure that your luggage complies with the weight and size restrictions enforced by your airline is just one way to avoid extra fees. By contacting your airline ahead of time you can ensure that your baggage meets the restrictions for normal sizes and avoid the oversize baggage charges that may put you out from $50 to over $150.00 depending on the airline. Restrictions are based on the actual size of your bag as well as the weight. Be sure to weigh you luggage before you go to ensure that you are not over. In addition, use a tape measure to ensure the size of your bag abides by airline standards as well. Other ways that you can help to reduce the costs of your luggage during your flight is to spend more time choosing what it is you actually need on your vacation. Take only necessities and leave the rest behind. In addition, learning to pack more efficiently and carry lighter weight clothing can also assist you in lessening your load, thereby allowing you to save money. Make sure that you are an informed traveler when traveling by air this season with Tradewinds Travel Club as your partner in travel. As always, enjoy all your vacations and travels with Tradewinds Travel Club. Tradewinds Travel Club is a private travel club offer member benefits. From saving on hotels and motels as well as activities, destinations and other aspects on travel, Tradewinds Travel Club is a good choice as your partner in travel. Make Tradewinds Travel Club part of your vacations worldwide.